You can use the axis function to customize the tick marks of your plot. The parameter of this function will allow you to define the tick values, their labels and the drawing direction and size of the tick marks. 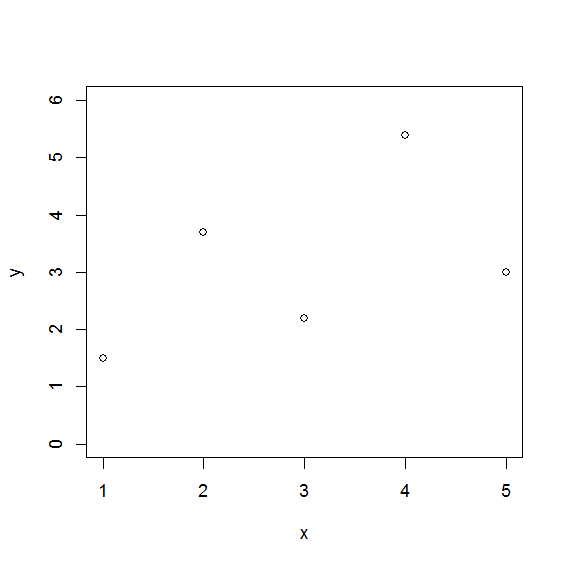 Let us start with a standard plot. The following code creates a plot and uses the standard axes. Next we want to modify the y-axis a little bit. Let us add some more ticks and label at other positions. Furthermore the tick marks with labels should be larger than the other ones. As we want to show tick marks of different sizes we have to call the axis function twice. The second function call is used to create the larger tick marks. Therefore the second axis does not contain any labels. The following code shows the example plot with the changed y-axis.